From the beginning of the program, VCDX holders bio and information have been inventoried and promoted on a VCDX directory page, which is the sole official and authoritative source. 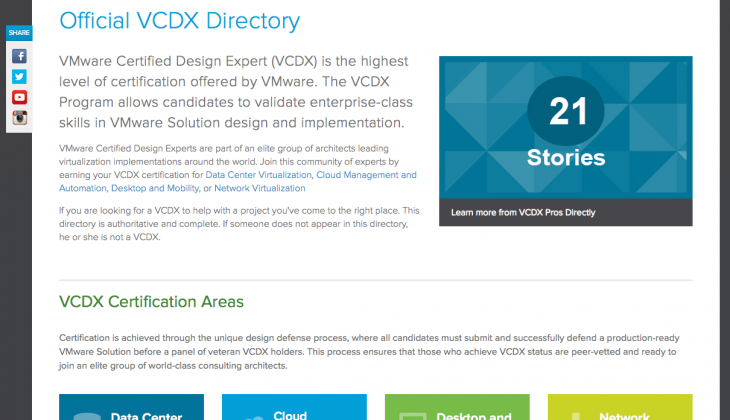 As the number of VCDX’s has grown, the page itself has grown and has become more of a challenge to manage and keep the information updated. After a few months of effort, a new official VCDX Directory with new capabilities and a new look is available : vcdx.vmware.com. 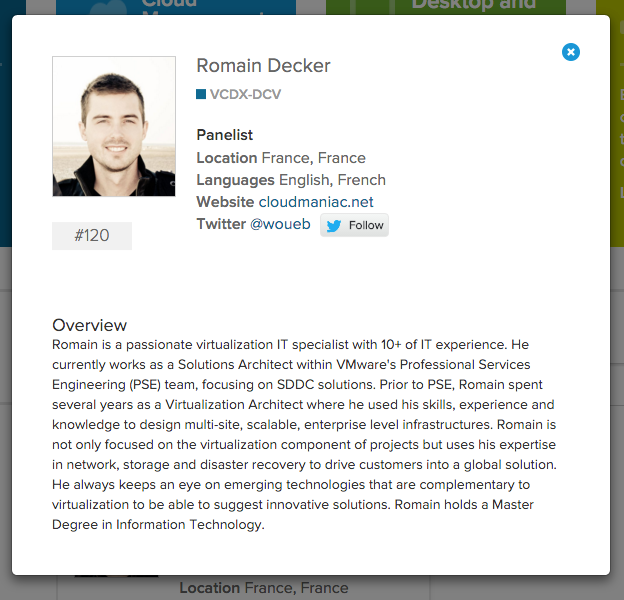 The information about a VCDX holder is now presented under the form of a card. Thank you Chris and Karl, great job !